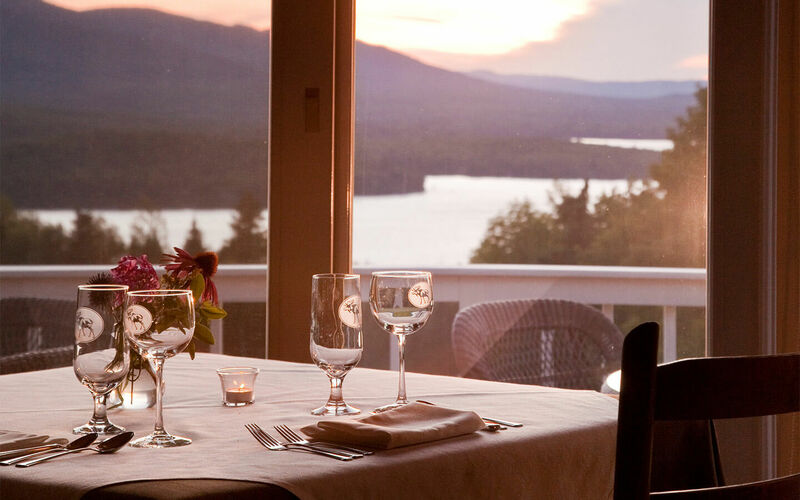 Enjoy exceptional dining on your vacation in Maine. 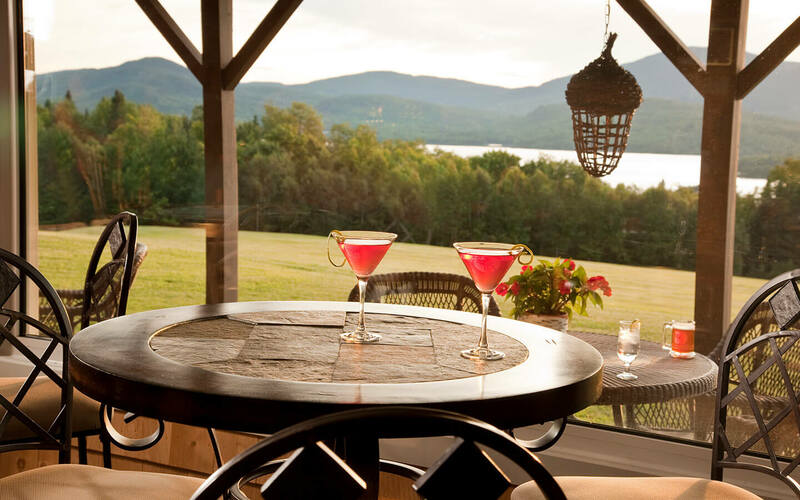 Floor to ceiling windows provides a panoramic view of Moosehead Lake and surrounding mountains from the Lakeview dining room and every table. Immediately outside is the wrap deck, perfect for lingering over that extra cup of coffee or last glass of wine. 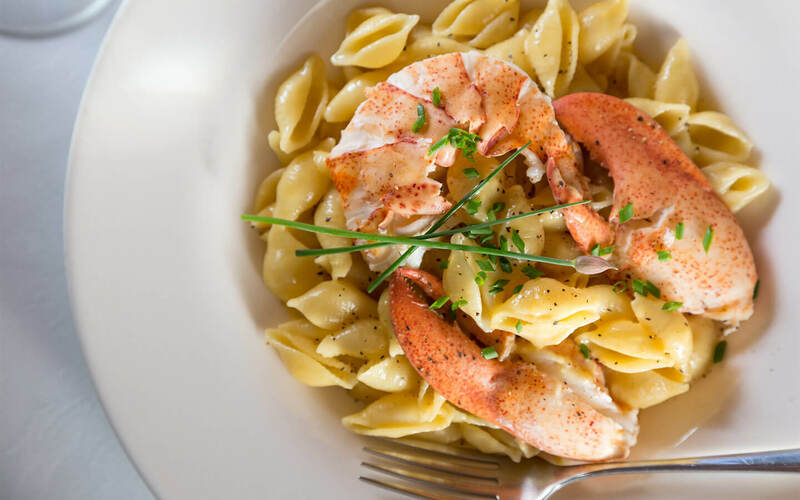 Feast on the best Maine offers with fresh seafood, locally sourced proteins, cheeses, vegetables and fresh berries. Everything is Ala Carte so the choice is yours. Let us know in advance and we are happy to accommodate Gluten Free, lactose intolerant, vegetarian and other special dietary needs. 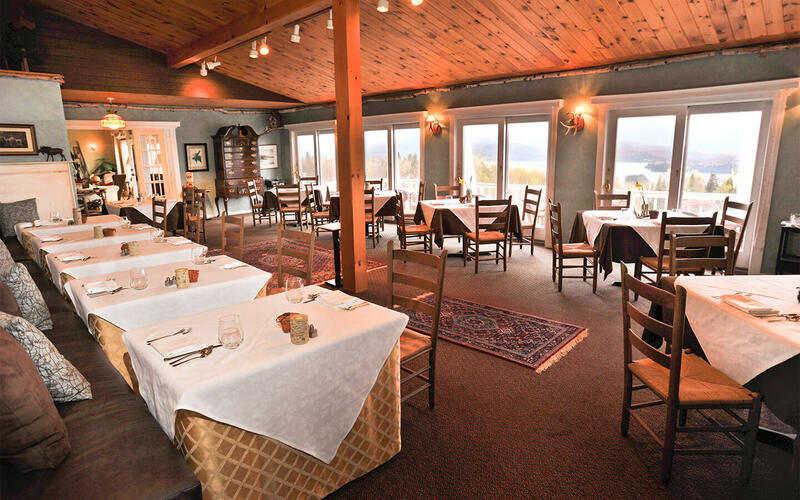 Guest of The Lodge At Moosehead Lake can enjoy a memorable dining experience under the guiding hand of Chef Dennis Bortis. Like the home cooks on the Fox hit show “Master Chef”, Dennis is self taught and after cooking for more than seven years at the Lodge has perfected his culinary skills at breakfast and dinner to a real art. He takes great pride in every dish from his Signature Lobster Mac and Cheese to his perfectly grilled beef filet with carmelized cauliflower and capers. We are delighted to announce the addition of Chef Erin Hall to our Lodge team for the 2018 season. Erin, her husband Matt and two children have moved to the Moosehead Lake area from Oxford, Maine where she was Executive Chef at the Severance Lodge Club in Lovell and has owned and operated her own restaurant for many years. At the Lodge, Erin will be responsible for breakfast and dinner service for our overnight lodging guests as well as the many food requirements for the Lodge’s unique and custom adventure packages. At our Country Inn and Lodge, you can embrace satisfying Up North Cuisine – hot, hearty and filling. 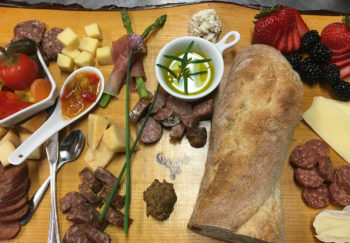 Our Chefs blends the best available local and statewide dairy, produce and meats that Maine offers always with an eye for presentation, one dish at a time. 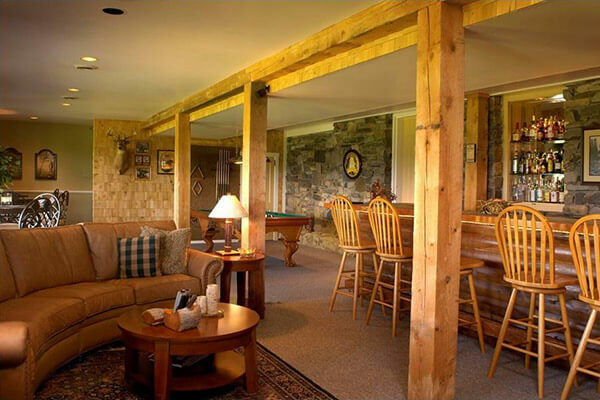 Overnight guests will take delight in the satisfying Maine lodge breakfasts in the morning and the delightful dinner options in the evening. In addition, the Lodge enjoys the expertise of a renown international pastry chef, Chef Iris Vail. Iris comes to us from Iceland, with over eleven years of experience in bakery including Hotel Natura, Icelandair hotels group, a four star hotel and Hotel KÄMP, Helsinki – a Starwood hotel. Chef Iris will be handling all wedding cakes, many of our dinner dessert options, pre-ordered event cakes for anniversaries, birthdays, etc. as well as special delicacies seen in the Lodge guest pantry. Chef Iris has received many awards for her baking expertise including the Nemakeppni Kornax 2013 competitor – 1st place, a national and annual competition for baker apprentices and Kaka ársins 2014 – cake of the year competitor – 1st place, an annual national competition where the cake of the year is chosen and is made and sold throughout the whole year in most bakeries nationwide. Chef Iris was the first intern and first woman ever to win this competition. There will be nothing like this anywhere else in Moosehead so order your cake soon. Enjoy a selection from our wine list, beer list or Martini menu. You can’t leave without trying our signature Mooseopolitan™ Martini. Directly outside the game room on the crest of the Lodge’s vast manicured backyard is our natural boulder fire pit. Enjoy a glass of wine at sunset or gaze at the beautiful stars on a clear summer night…so big and close it seems you could grab them from the sky. The guest pantry in the Lodge is stocked daily with complimentary snacks. You’ll enjoy the homemade chocolate chip cookies, pastries, fresh fruit, sodas, a large variety of teas, and other special items whipped up just for you. For evenings when you want something lighter, reserve our exquisite Charcuterie Sunset Platter. So very special to enjoy on your private deck or the great room porch. The platter consists of about eight ounces of soppressata, capicola, prosciutto, select venison dry aged sausage and pork sausage. In addition there is grain mustard, nuts, goat cheese rolled in cracked peppercorns, chutney, Winter Hill Farm Cheese including ashed bloomy rind cheese, Boursin, and camembert. This is served with an assortment of artisan breads and crackers. We recommend a Pinot Noir or Syrah with the Charcuterie, available from our wine list at an additional charge.